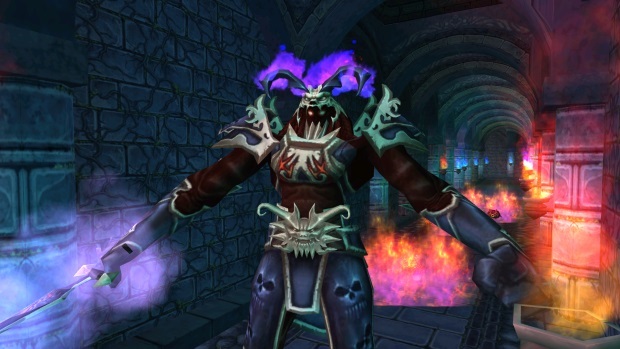 Something wicked this way comes to Gamigo’s portfolio of free-to-play MMORPGs. Tis spooky time in Fiesta and King of Kings III, and the Game Masters have been busy brewing up epic fun. Check out Fiesta’s thrilling Halloween Trailer packed with bat-astic, bone-tingling adventures. Play as your favorite monsters! 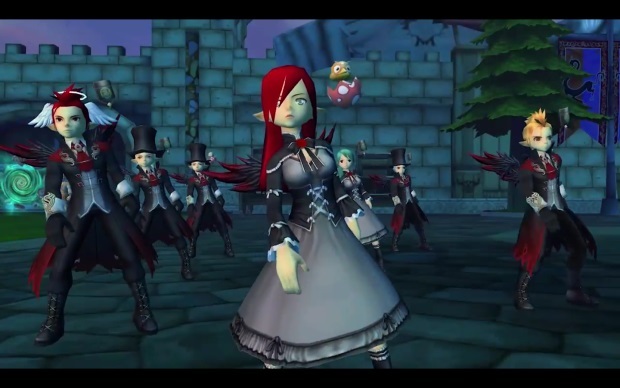 Dance till dawn with your ghoulish friends! Preview the Halloween Challenge Dungeon! The following is the guide to portal activities, try them if you dare! Monster Candies – Trick or Treating has never been this wild! Collect all the sinister sweets you can find and TRANSFORM INTO YOUR FAVORITE MONSTER! Run amok as the all powerful Helga and Malephar, chase friends down as King Crab, live it up as Lava Vivi, and bring on hellfire as Flame Devil Honeying. You’re damned anyway, might as well be as bad as you can get. Halloween Challenge Dungeon – The colorful anime fantasy world of Isya takes on a dark tone as fiery pumpkins dot the night sky and evil characters lurk in the shadows. Seek out special NPCs for spooktacular quests and goodies, and enter the Halloween Challenge Dungeon to battle diabolical mobs, monsters, ghosts and SLIME! Treasure awaits those who manage their way through the perilous terrain. Hunt the Headless – Once a great warrior, now an outlaw consumed by demonic forces, the Headless is on the loose, haunting the good citizens of Roumen. In a colossal event that summons brave fighters from across the land, Fiesta GMs lead an all-out attack on his hideouts. Defeat everything he throws at you, solve his dastardly riddles, farm the treacherous coffin-laden territory, and win witchy prizes. Wicked Costumes & Lucky Box – Dress up and dance the night away. Sick weapons skins, Halloween houses, and chilling costumes are sure to delight. Freak your friends out with Monster Hat, the first item ever to make your head disappear! Impress with the Black Cat Mask! 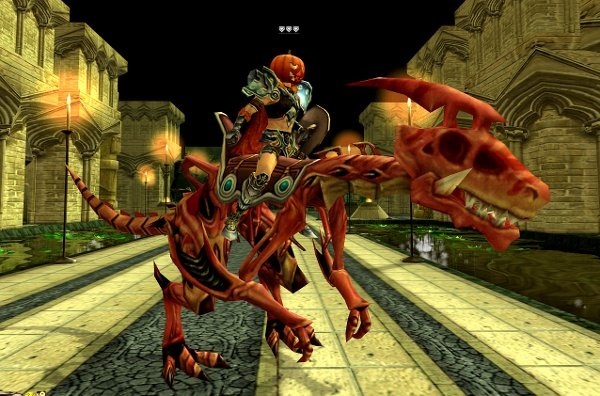 Then try to win a harrowing mount and other creepy items with the Halloween Lucky Box. Spoooky Stories – With all this action brewing, you know you’ve got a hair-raising story or two in you. Submit your tales of horror and use the secret words to win a shadowy pair of Dizzy Glasses. Pumpkin Carving & Cookie Baking – Pumpkin House has arrived to help you carve supercool design into your pumpkins, and Delicious Cupcake House will help you bake the cookies and cakes of your dreams. Post screens of your masterpieces in the forums for a chance to win strange and shocking prizes. Haunted Map – Chaos runs rampant with clan warfare as you build guild cities, fight massive-scale PvP battles, and lead your legions to victory to become the King of Kings. During All Hallows Eve, be sure to meet up with your guild in the main town under the Jack-O-Lantern trees for some insane lollipop action. Trick or Treat – Everywhere you look, there are Halloween gifts for the taking. Speak to the Super Tight Mummy for hourly buffs and transformations. Creepy Costumes – Hankering for an Axe in the Head? Wanting to squash it like a Pumpkin Head? Look no further, the new store arrivals got you covered. For event details, click here for Fiesta, and click here for King of Kings.